MOSCOW, September 10. /TASS/. Repairs must be carried out at the launch pad for Soyuz-2 carrier rockets at the Vostochy spaceport in Russia’s Far East after cavities were discovered in the soil underneath a servicing tower, a source at the spaceport told TASS. "Cavities appeared underneath the reinforced concrete foundation of a mobile servicing tower at the first launch pad of the Vostochny spaceport," the source said. "We have already concluded a contract to eliminate the cavities." 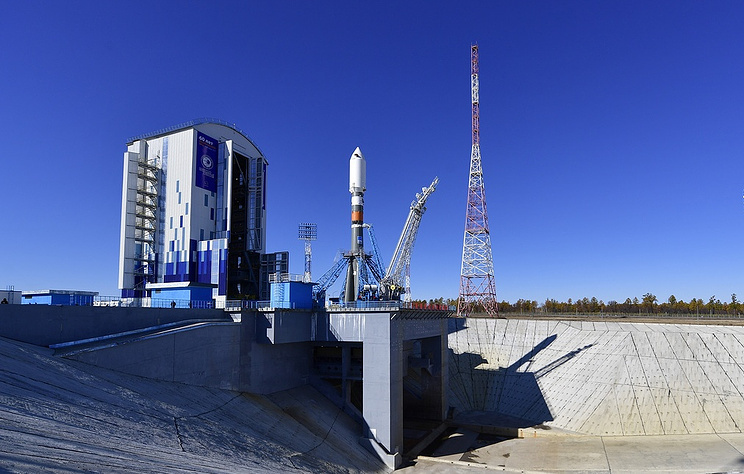 The source did not specify the origin of the cavities at the launch pad of the spaceport in Russia’s Far East, while the Center for the Operation of Ground-Based Space Infrastructure refrained from making comments on the situation.